Afridi or Apridi (singular -ay), designation of a major Pashtun tribe in northwest Pakistan, with a few members in Afghanistan. 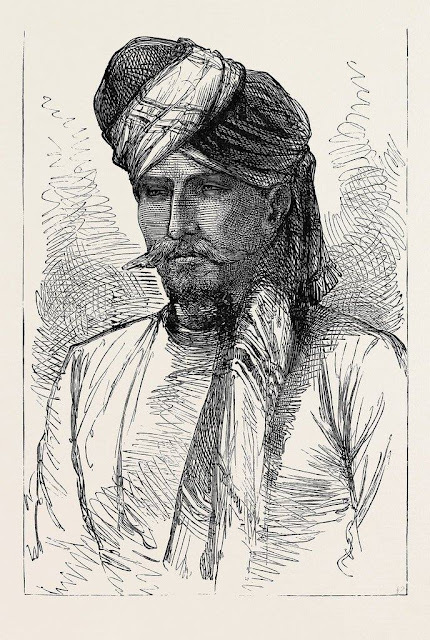 The Afridi form part of the Karlanri group of tribes. Their eponymous ancestor is supposed to have been a certain Faridun, a descendant of Karlan (whence the Karlani lineage) through Mani (or Manay?) and Koday (and his second wife). Among the Afridi six so called "Khyber clans" are generally distinguished: the Kuki Khel, Qambar Khel, Kamar Khel (or Kamra'i or Kamar Din Khl), Malek-din Khel, Sepah, and Zakka Khel (or Zaka Khel), all established in the region of the Khyber pass. In addition, there are two "assimilated" clans not recognized by the first six; the Aka Khel, settled south of the Bara river in contact with the Orakzai, and the Adam Khel, occupying a mountainous region between Peshawar and Kohat. 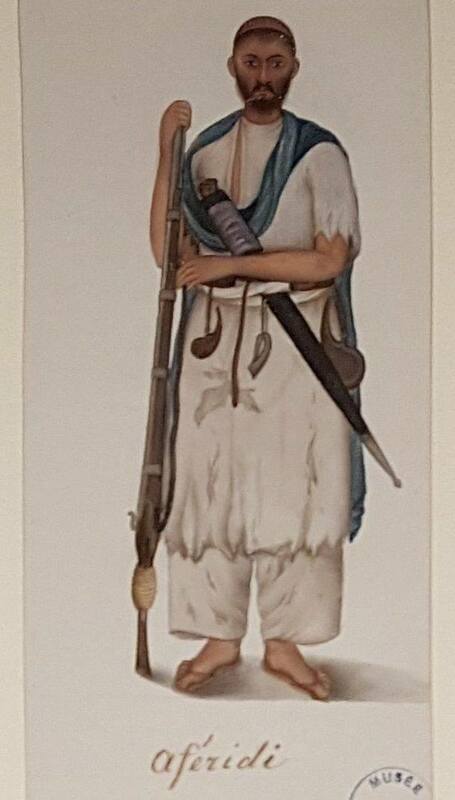 An Afridi, 1827-1843. 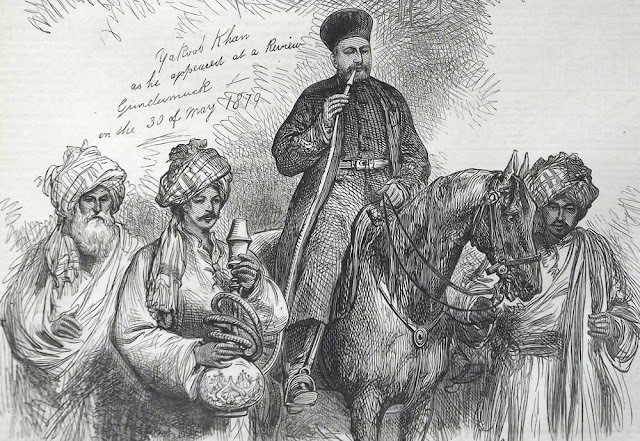 By Imam Bakhsh Lahori, Illustrations des Mémoires du général Claude-Auguste Court, Lahore. 'Tooro Baz' a Kukie Khel Afridi. From "Men of different Afghan tribes: portraits by our special artist", The Illustrated London News, April 19, 1879.